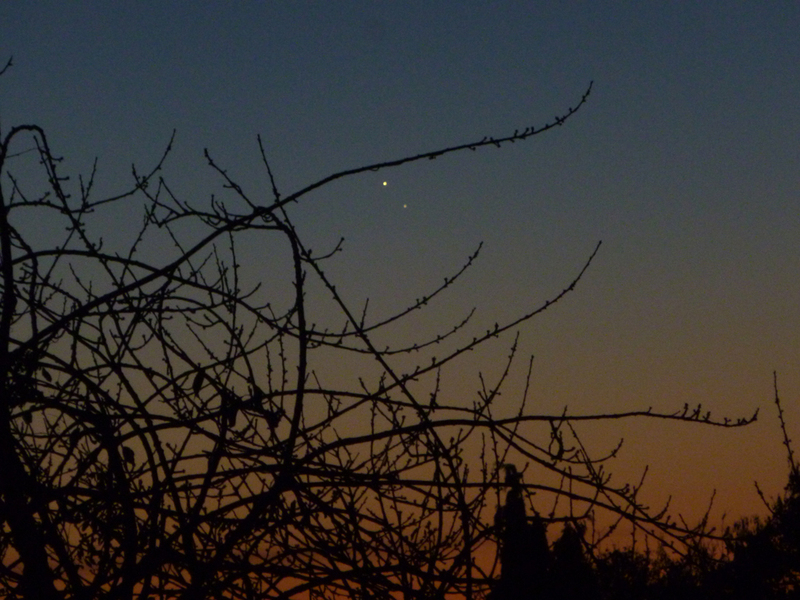 Claire Spencer took this image of the conjunction of Venus and Jupiter at 06:30 UT on the 13th November 2017 from Darley Abbey, Derby. Image © Claire Spencer. This image of Jupiter was captured by Peter Branson on the evening of April 8th 2017. The image was obtained by combining and processing about 1000 separate images from a 5000-frame video The video images were taken with a ZWO ASI224-Cool high frame rate camera, operating at about 50 frames/second, through a Hutech IDAS light pollution filter attached to a Celestron C9.25 Schmitt-Cassegrain telescope. The telescope arrangement was mounted on an HEQ5 mount. Each video was processed in AutoStakkert and then the final image was processed and sharpened in RegiStax. 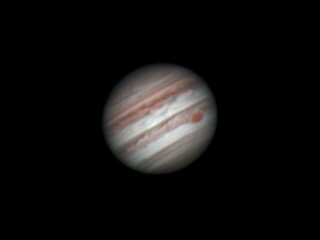 Peter says - "I managed to capture the Great Red Spot (GRS) the night before and this evening I saw that the GRS was just emerging on the left hand limb. During the night I took 52, 5000-frame videos and from each video I produced just one final image. These images were themselves turned into a short video (download from here) showing Jupiter rotating and the GRS moves from left to right. I've wanted to capture this for some time and I'm very pleased with the result." Image @copy; Peter Branson.